Xiaomi, the Chinese electronics conglomerate has swept the Smartphones market ever since it entered the Indian market in 2014. Known for their affordable and high performing Smartphones, you can certainly rely on the company for buying 3GB RAM Mobiles. Some of the popular models in this category include Redmi Note 3, Mi MAX, Redmi Note 4, etc. From 5-inch screen size to 6.44-inch screen size, buyers can buy Mi 3GB RAM mobiles according to their specific needs. Not just that, but you can also find both Single and Dual Sim 3GB RAM Mobiles from Xiaomi. With Quad Core, Hexa Core, and Octa Core processors to choose from, Mi 3GB RAM Mobiles come in various types. While most of these come in Full HD display, there is also an HD option for budget conscious buyers. 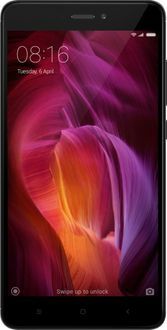 Below, you can find out the price list of 16 models of Mi 3GB RAM Mobiles with their latest prices updated on 18th April 2019.